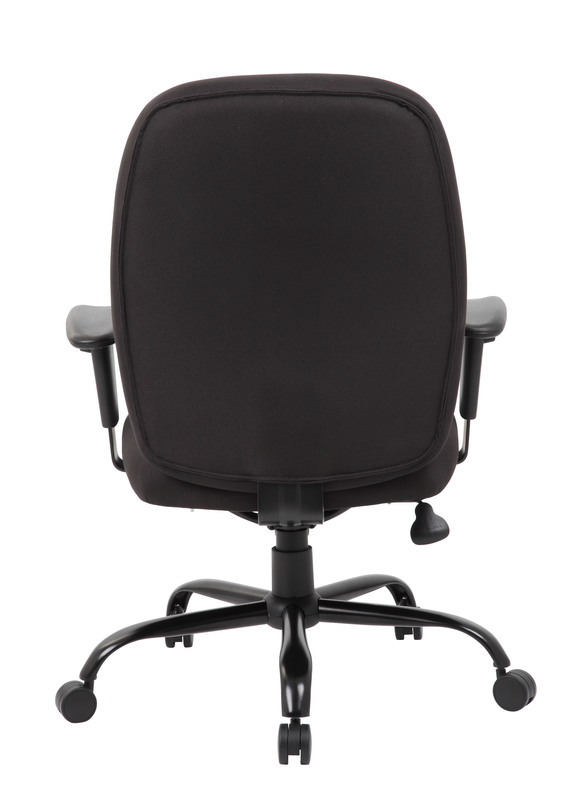 This unassuming task chair has been created with as heavy duty of a design as it can get. 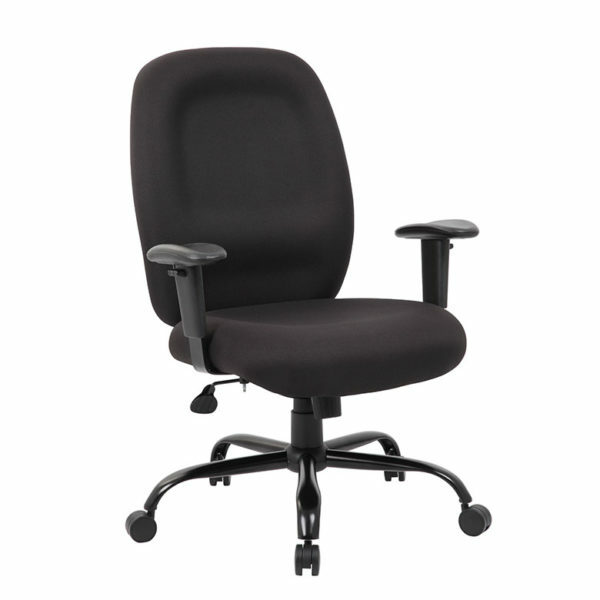 The chair is made with top of the line crepe material and boasts a strong and sturdy 27 inch black steel base with 2 inch nylon dual wheel castors. 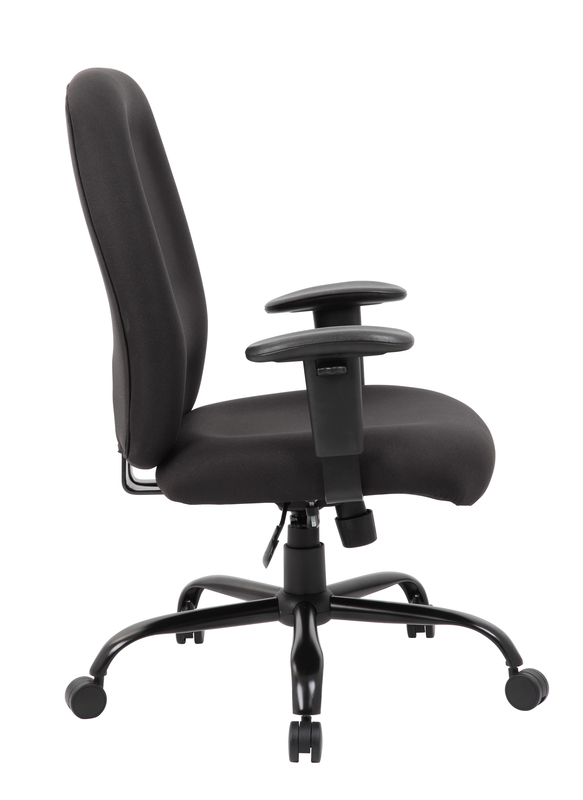 The chair features a heavy duty spring tilt mechanism that changes the angle of the entire seat relative to the floor and allows one to transfer some of the upper body weight to the backrest of the chair and also a pneumatic gas lift that allows for easy height adjustments. 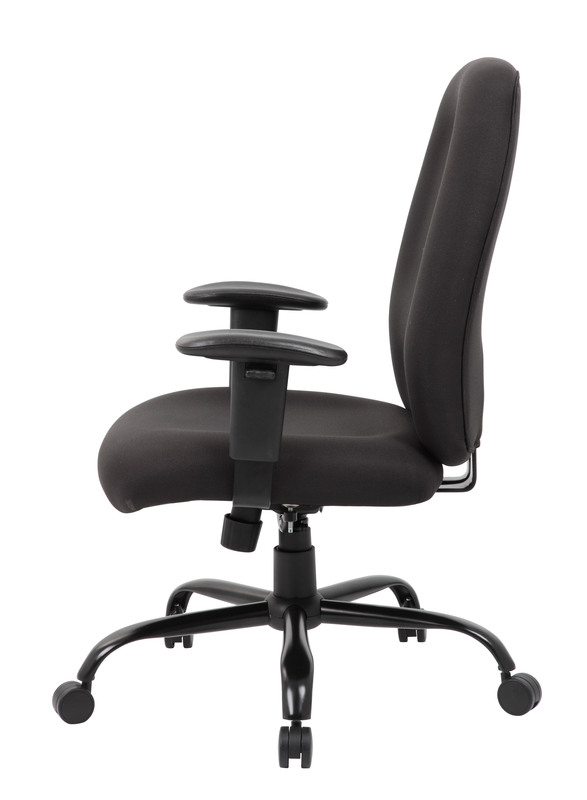 The chair also offers tilt tension, an upright lock and boasts a weight capacity of 400 lbs. 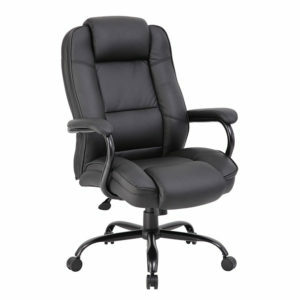 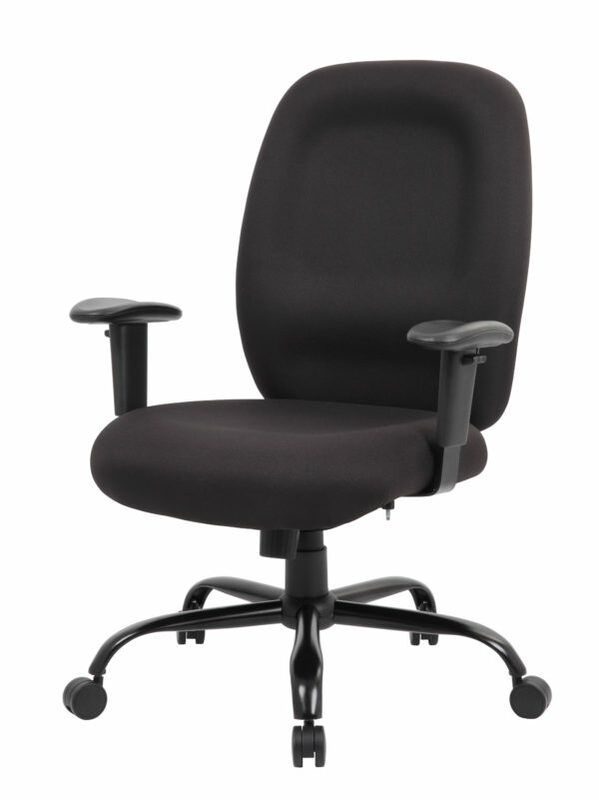 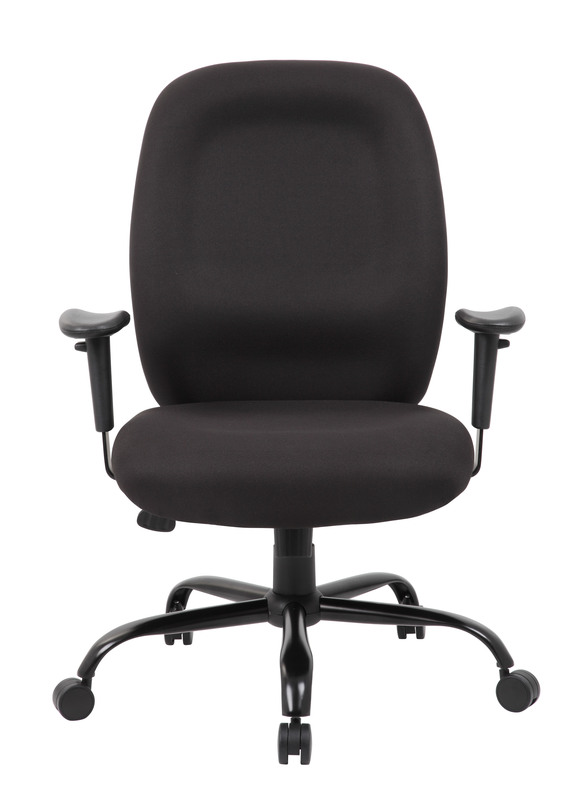 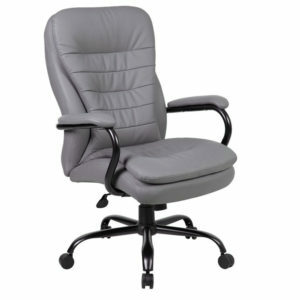 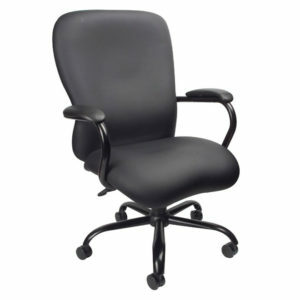 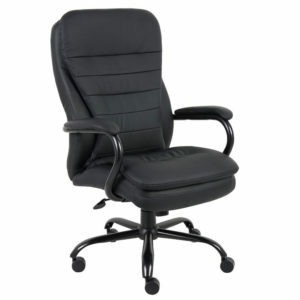 Boss Heavy Duty Double Plush CaressoftPlus™ Chair-400 Lbs. 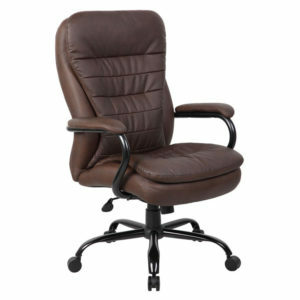 Boss Heavy Duty Double Plush LeatherPlus Chair-400 Lbs.